Nancy Nehring, B. Mus., M. Mus. Nancy Nehring started out as a piano major at the niversity of Kansas, but ended up with a Bachelor of Music in Viola Performance (with Distinction), and a Master of Music in Viola from the University of Michigan. At Michigan, she was principal of the Contemporary Directions Ensemble and University Orchestra, as well as a member of the Graduate Quartet and the Ann Arbor Chamber Orchestra. A member of the Oklahoma Symphony for six years and Chamber Orchestra of Oklahoma City for five, she has also been assistant principal and principal of the Modesto Symphony and California Symphony, and a substitute with the San Francisco Ballet Orchestra. She played with the Sacramento Symphony, the Santa Cruz Symphony, the Women's Philharmonic, and the Saskatoon Symphony. Nancy has also participated in many summer festivals and orchestras, including the Grand Teton Festival, Aspen, the Colorado Philharmonic (now the National Repertory Orchestra), the Peter Britt Festival, and the Orquesta de la MinerÃ­a (in Mexico City). From 2000 to 2004, Nancy sang with das Femmes, Brandon's womens' chamber choir, and from 2003 to 2007 she was Administrative Officer of the Eckhardt-Gramatte National Music Competition. Since 2001 she has been co-dean and administrator (along with her husband, cellist Mark Rudoff) of the Quartet Program, a chamber music summer school based at SUNY-Fredonia in New York State. Nancy is instructor of viola at Brandon University and accompanies several BU string majors. 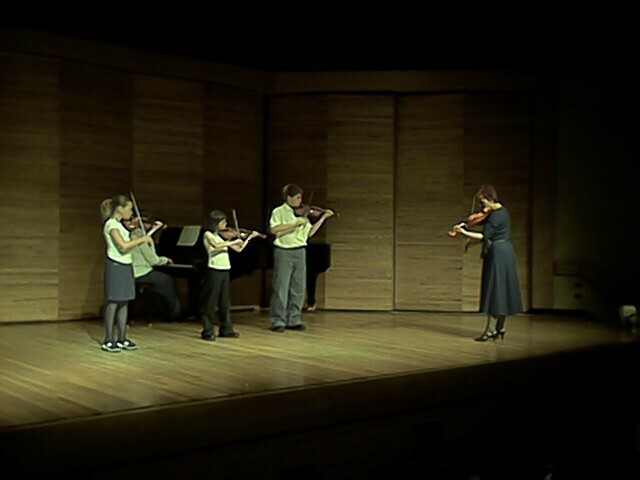 As a viola teacher for the Eckhardt-Gramatte Conservatory and the Brandon Suzuki Talent Education Program, she maintains a Suzuki viola class with the motto "The few, the proud, the violas!"